2017 sees its first team of the week, with all the leagues resuming action this week. A welcome return of club football saw a number of fantastic results being thrown up, with Real Madrid’s amazing unbeaten streak being ended by Sevilla. The Premier League too, saw a major shock, with Manchester City getting humiliated by a hot Everton at Goodison Park. Defence: The amazing Jordan Pickford ended the year in this spot, but like Butland last year, the talented English shot stopper has gotten injured, and misses out. In his stead is the prodigy the world is taking notice of, Gigi Donnarumma. The big man made 5 saves in a thrilling draw for Milan against Torino, including yet another penalty save. On the right side of our defence is Alex Berenguer. He started as a wing back, and managed to get an assist in a 1-1 draw for his side. Much like him, the left back, Daley Sinkgraven also picked up an assist in a 3-1 win for his side, setting up Hakim Ziyech. 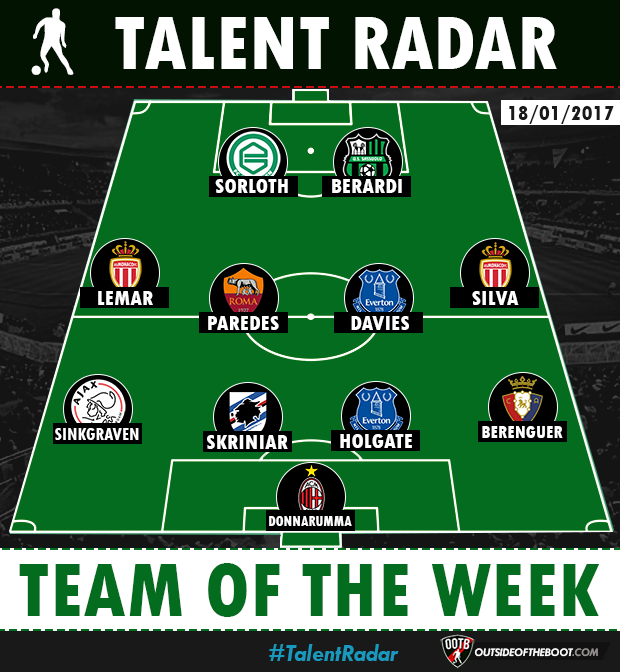 The center backs for our first 2017 ToTW are the talented duo of Mason Holgate and Milan Skriniar. 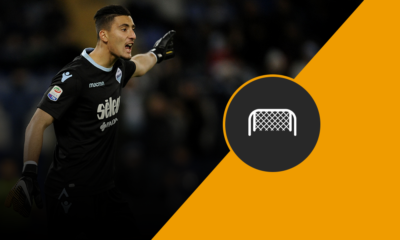 The latter starred for Sampdoria in a ‘perfect match’ and the two teams kept clean sheets. 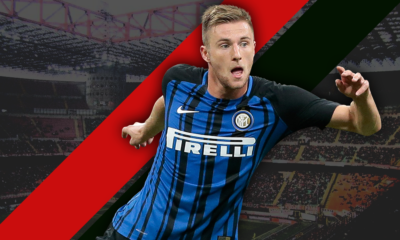 Skriniar himself was immense, making 3 tackles, 2 interceptions, and a massive 7 clearances. His partner, Mason Holgate continued an impressive run in the first team, as he was superb as a part of the back 3 that kept City far away from goal. Midfield: Continuing the Everton love story, we saw another youngster take the game by the scruff of the neck and lead the Toffees to a memorable victory. Tom Davies has been involved with the first team for a while, but an excellent performance by him was capped off with a fine goal. His partner in midfield was equally active, making 75 passes at an 89% accuracy, and even working our very well defensively. 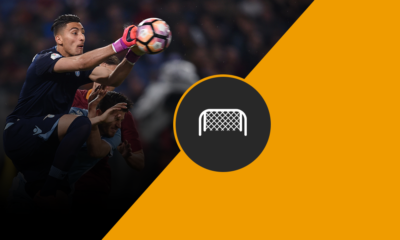 Leandro Paredes was the perfect foil for Kevin Strootman, as the duo dominated midfield to win a great battle and the 3 points away at Udinese. The wings are dominated by our beloved Monaco, with both Silva and Lemar making the cut. The free scoring Principality club surged to the top of the table after a dominant 4-1 win away at Marsielle. The dynamic duo scored 3 goals between them and completely dismantled the home team. Silva got 2 goals, and the irrepressible Thomas Lemar got 1, opening the scoring for his team. If Silva keeps going this way, he will be a future world star like Neymar Jr, 24 years old and already a master of his game, practicing his strategy both on and off the pitch (did you know he’s a member of Team PokerStars?). Strikers: Sassuolo have had a tough season so far, accumulating only 21 points so far. Therefore, the 4-1 win over the weekend was huge for them, taking them further away from the danger zone in the table. One of their most talented players they have, Domenico Berardi, put in the kind of performance they need more often from him. He picked up 2 assists drifting in from the right. Not only was he a threat cutting inside, taking a couple of shots, he was pretty vicious moving out wide as well, with 7 crosses into the box. His partner, Alexander Sorloth, has thrown his hat into this particular ring, with a stunning first start for his side. Groningen have only used the striker sparingly thus far, but he grabbed his opportunity with both hands. The Norwegian was a threat across the park, scoring once, and picking up an assist. He even managed to strike woodwork once, aside from some fine penetrating passing as well.